Neuroscience has increased our knowledge of memory and learning. This has led educators to consider how they might utilise this knowledge to help student learning. - Explicit or Declarative - memory of facts and events. - Episodic and Semantic memory. Failures can occur at any stage, leading to forgetting or to having false memories. ​The key to improving one’s memory is to improve processes of encoding and to use techniques that guarantee effective retrieval. 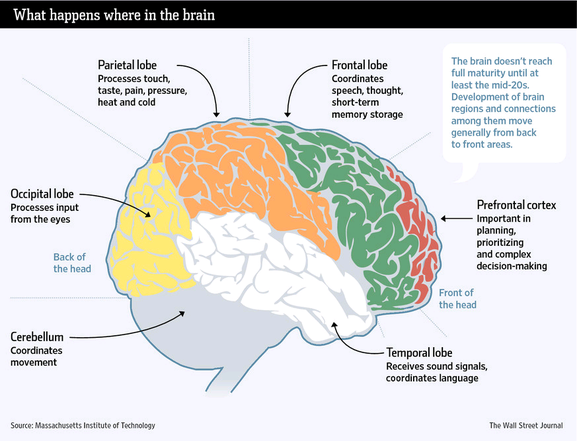 What Happens Where in the Brain? The key to good retrieval is developing effective cues that will lead the rememberer back to the encoded information. Classic mnemonic systems, known since the time of the ancient Greeks and still used by some today, can greatly improve one’s memory abilities. Working memory involves our ability to hold information in our mind for short periods (that’s the memory part) in order to do something with it (that’s the working part). Working memory is critical for focusing our attention, shutting out distractions, following directions, learning and successfully completing complex tasks. Educational psychologist Peter Doolittle details the importance — and limitations — of your working memory - that part of the brain that allows us to make sense of what's happening right now. - Avoid giving students verbal instructions when students are doing a reading and or writing activity. Students can either listen or read but not do both. - Plan to distribute text-based hand outs or lecture notes at the end of the lesson to prevent students reading the hand outs whilst you are talking. - Delineate areas on the white board where particular instructions, notes or homework will be placed. Use these same locations each day. - Determine how to best organise the desks, materials and posters in your classroom. Use the same locations for each throughout the year. - regular study intervals over a period of time results in much better long-term memory and performance compared to short-term cramming. - when preparing for exams, several short practice sessions are more beneficial than one lengthy review prior to the test date. - If a major exam is to take place in an area such as the school auditorium, try to facilitate revision lessons or practice exams in that environment. - When undertaking activities with multiple components, tackle each component separately to allow students to uni-task. - ensure any technology used in lessons serves an explicit and integral part in the learning. If the technology is secondary to the main task, try to eliminate it. - Use interleaving instead of massed practice to improve student outcomes. It has been proved to improve long-term performance and transfer. Massed practice is when there is a teaching focus on one area and then practice and revision drills are undertaken one concept at a time. Interleaved practice is a teaching focus on several different concepts in a kind of mixed up fashion and then doing practice and revision drills of all of those concepts together. - students can be explicitly taught about the central relationship between errors and learning. This may lessen student fears about making mistakes and shift the focus from success to process. - lessons can be scaffolded in such a way to allow for or even encourage error making. This could lead students to make mistakes which will deepen their engagement with the material and strengthen their learning. - if you want students to recall information in a text, design activities that allow students to interact with the text rather than simply read and re-read. - plan for opportunities for high order questioning and discussion in lessons to boost active recall. - research indicates the importance for teachers of starting new subjects or class topics in a strong, positive manner as it is likely the first lesson will influence how students approach all future lessons and tasks. - Content presented to students during warm-up activities will activate strategies that will influence how students comprehend novel content. The human brain is puzzling — it is curiously large given the size of our bodies, uses a tremendous amount of energy for its weight and has a bizarrely dense cerebral cortex. But: why? Neuroscientist Suzana Herculano-Houzel puts on her detective's cap and leads us through this mystery and arrives at a startling conclusion.